The Lousy Cook Decorates a Cake–Redux! Six months after my cake decorating fiasco and with cupcake-decorating and cookie-decorating classes under my belt, I was ready to try again: this time with adult supervision. 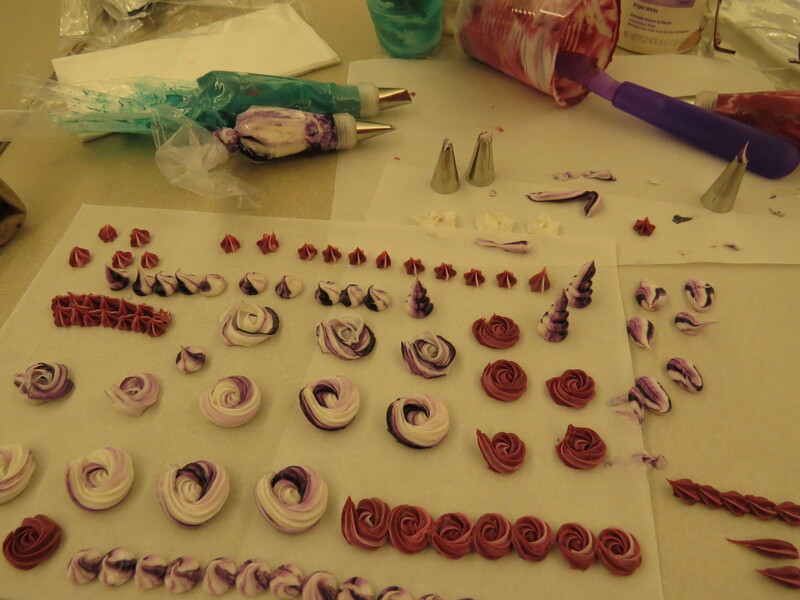 I signed up for a two-part, six-hour cake decorating class. I’m not sure why I ever thought I could casually decorate a fabulous anniversary cake. Like brain surgeons who decide they’ll write a novel “when they retire,” my goal was a bit of an insult to pastry chefs.